The Basement Health Association is a professional trade organization working to connect customers with highly reputable, BHA-Certified basement waterproofing and home improvement contractors. 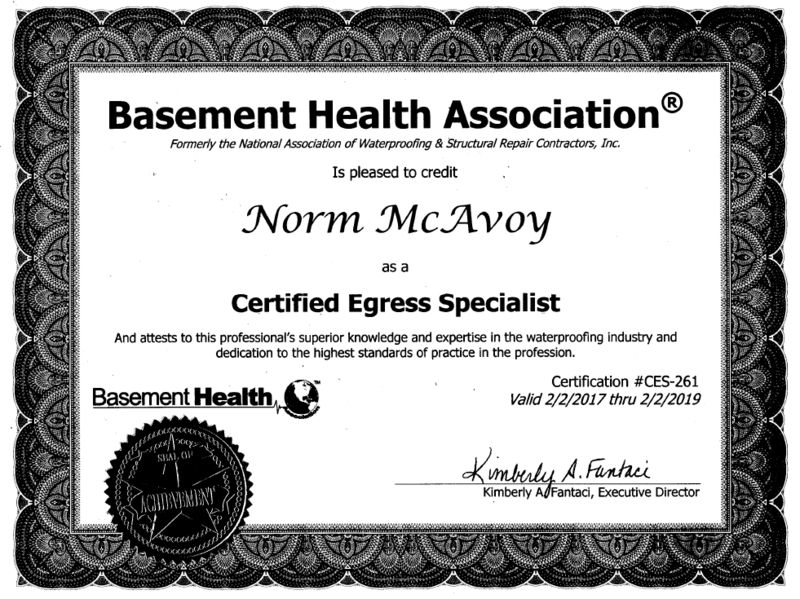 Norm McAvoy, owner of Steelway Cellar Doors, is a Certified Egress Specialist through the Basement Health Association. 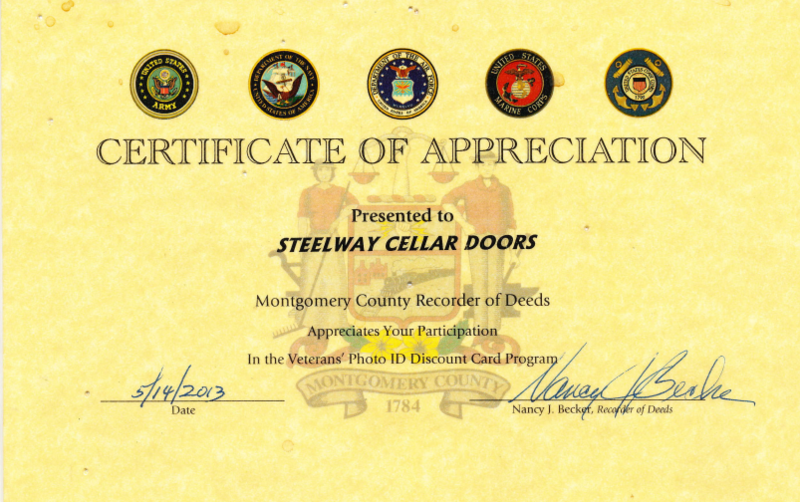 This certifies that Steelway Cellar Doors participated in the Montgomery County Veterans Discount Program. A program that appreciates the sacrifices our Veterans have made for this country. Steelway Cellar Doors wishes to show their appreciation for our veterans who have served to protect our freedoms. This certifies that Steelway Customer Cellar Doors formed and maintained a workplace safety committee covering their PA workplaces and met state-established requirements for certification. Safety committees are a proven tool in helping to keep employees safe, injury free and on the job earning their full wages.